COLORADO SPRINGS, Colo. - Cindy Curley (Hudson, Mass. ), Bill Guerin (Worcester, Mass. ), Peter Karmanos, Jr. (Raleigh, N.C.), Ron Mason (East Lansing, Mich.) and Doug Weight (Warren, Mich.) have been selected to the United States Hockey Hall of Fame as the Class of 2013, USA Hockey announced today. The date and location of the induction event will be announced later this summer. "This is an extraordinary class that each have contributed in a remarkable fashion to the advancement of our sport. It's a truly remarkable collection of individuals, all so very deserving of earning the pinnacle of accomplishment in hockey in the U.S."
Cindy Curley was one of the pioneers of the U.S. Women's National Team, playing in the inaugural IIHF Women's World Championship in 1990. Her 11 goals, 12 assists and 23 points in five games remain single-tournament records at the IIHF Women's World Championship. Curley also skated for Team USA at the 1992 and 1994 IIHF Women's World Championships and the 1995 IIHF Women's Pacific Rim Championship. She received a silver medal at each of the four events. Upon her retirement, she continued to champion girls' and women's hockey as a coach and official. Her dedication to improving grassroots hockey opportunities earned her induction into the Massachusetts Hockey Hall of Fame in 2002. Curley has been intimately involved with USA Hockey in a number of capacities, including including as an athlete director on the USA Hockey Board of Directors (1995-2006) and as a member of the organization's youth council (1999-2006), legal council (2005-07), girls/women's section (2000-05) and safety & protective equipment committee (2001-07). Additionally, she was a member of the U.S. Olympic Athlete Advisory Committee from 2005-08. Among the all-time leading scorers at Providence College, Curley was inducted into the school's Athletic Hall of Fame in 2013. Bill Guerin spent 18 successful seasons in the National Hockey League with the New Jersey Devils, Edmonton Oilers, Boston Bruins, Dallas Stars, St. Louis Blues, San Jose Sharks, New York Islanders and Pittsburgh Penguins. Picked fifth overall by the Devils in the 1989 NHL Entry Draft, he played in New Jersey from 1991-97, winning the Stanley Cup in 1995. Guerin was dealt to Edmonton in the midst of the 1997-98 season and was later traded to Boston in 2000-01. The Boston College product earned NHL Second Team All-Star honors in 2001-02 when he posted a career-best 41 goals for the Bruins. In 2003-04, his second of three seasons in Dallas, he racked up a career-high 69 points (34-35), reaching the 30-goal plateau for the third time of his career. Following stints in St. Louis, San Jose and Long Island, Guerin reached Pittsburgh late in the 2008-09 campaign. A few months later, he hoisted the Stanley Cup as a member of the Penguins. When Guerin retired after the 2009-10 season he had earned 429 goals and 427 assists over his 1,263-game career. Additionally, Guerin was picked for four NHL All-Star Games (2001, 2003, 2004, 2007). He wore the Team USA jersey at seven major international events throughout his career, including three Olympic Winter Games (1998, 2002, 2006), two World Cups of Hockey (1996, 2004) and two IIHF World Junior Championships (1989, 1990). He collected an Olympic silver medal in 2002 and helped the U.S. win the gold medal at the 1996 World Cup. The owner and chief executive officer of the National Hockey League's Carolina Hurricanes, Peter Karmanos, Jr., has used his business acumen to build an empire of hockey at all levels of the game in the United States for more than five decades. In 1994, he acquired the Hartford Whalers and two seasons later moved the team to Raleigh, N.C. Since the team's arrival in North Carolina, the Hurricanes have enjoyed success both on and off the ice, highlighted by winning the Stanley Cup in 2006. In addition, the team has advanced to the conference finals three times in the last 11 seasons and captured the Eastern Conference title in 2002 and 2006. The Hurricanes were recognized as the top hockey franchise and second-ranked franchise in all of sports in 2009 by ESPN in the "Ultimate Standings," a collection of data and survey results that take into account a team's on-ice success as well as its community impact and overall fan experience. As retired executive chairman of the board for Detroit-based Compuware, he has sponsored one of America's most successful youth hockey programs of the same name. 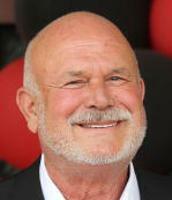 Karmanos also owns the Plymouth Whalers of the Ontario Hockey League, the ECHL's Florida Everblades and several arenas. In 2012 he received USA Hockey's Distinguished Achievement Award, and in 1998 the NHL honored him with the Lester Patrick Award for his outstanding service to hockey in the United States. Ron Mason won 924 men's college hockey games over a 36-season head-coaching career at Lake Superior State University (1966-73), Bowling Green State University (1973-79) and Michigan State University (1979-2002). His win total ranks second in college hockey annals, while his winning percentage (.696, 924-380-83) is among the top 10 in the sport. 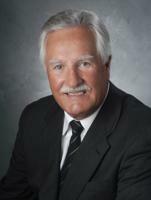 He led LSSU to the NAIA national championship in 1972 and MSU to the NCAA national title in 1986. Mason guided 22 of his teams (BGSU-1977-79, MSU-1982-90, 1992, 1994-2002) to the NCAA Tournament, tied for second-best all-time. On two occasions he led the Spartans to streaks of nine consecutive NCAA Tournament showings (1982-90, 1994-2002). He was an architect of the Central Collegiate Hockey Association in 1972 and went on to capture 10 CCHA regular season championships (BGSU-1976, 1978-79; MSU-1985-86, 1989- 90, 1998-99, 2001) and 13 CCHA postseason crowns (BGSU-1977-79, MSU-1982-85, 1987, 1989-90, 1998, 2000, 2001). The American Hockey Coaches Association National Coach of the Year in 1992, Mason was the CCHA Coach of the Year seven times (1976, 1978-79, 1985, 1989-90, 1999). Among the thousands of players Mason mentored were a pair of Hobey Baker Memorial Award winners (Kip Miller, Ryan Miller), 35 All-Americans and more than 50 future NHL players. Mason, who served on both the NCAA Ice Hockey Committee and NCAA Ice Hockey Rules Committee during his storied career, served as MSU's director of athletics from 2002-07 following his coaching career. Mason is a member of the Michigan Sports Hall of Fame, as well as the Michigan State, Bowling Green State, Lake Superior State and St. Lawrence University Sports Halls of Fame. Doug Weight's NHL career spanned 19 seasons, during which he played for the New York Rangers, Edmonton Oilers, St. Louis Blues, Carolina Hurricanes, Anaheim Ducks and New York Islanders. After two years at Lake Superior State University (1989-91), Weight stepped into the lineup of the New York Rangers, who had drafted him 34th overall in the 1990 NHL Entry Draft. In 1993, less than two seasons into his pro career, he was traded to the Oilers, for whom he played the next eight seasons. The playmaking center, who served as team captain his final two seasons in Edmonton, set career highs for assists (79) and points (104) during the 1995-96 campaign. After three-plus seasons in St. Louis, Weight was traded to Carolina, where he won the Stanley Cup in 2006. The final five seasons of his career were spent with the Blues (2006-08), Ducks (2008) and lastly the Islanders. In his last year, Weight captained the Islanders and received the 2011 King Clancy Memorial Trophy for leadership and humanitarian contributions. In 1,238 career NHL games, Weight scored 278 times and racked up 755 assists. Weight put on the U.S. sweater at nine major international competitions, including three Olympic Winter Games (1998, 2002, 2006), three IIHF Men's World Championships (1993, 1994, 2005), two World Cups of Hockey (1996, 2004) and one IIHF World Junior Championship (1991). The 14 assists and 19 points that he notched for the 1991 U.S. National Junior Team are single-tournament records for the U.S. Later, he helped Team USA to the gold medal at the 1996 World Cup of Hockey and received a silver medal at the 2002 Olympic Winter Games. U.S. Hockey Hall of Fame inductees are chosen on the basis of extraordinary contribution to the sport of hockey in the United States. NOTES: The U.S. Hockey Hall of Fame was founded in 1973. To date, there are 156 enshrined members in the Hall. For information on the members of the U.S. Hockey Hall of Fame, visit USHockeyHallofFame.com ... The U.S. Hockey Hall of Fame Museum, located in Eveleth, Minn., is open daily. For hours of operation and admission prices, visit USHockeyHallMuseum.com or call 800-443-7825. NOTES: The U.S. Hockey Hall of Fame was founded in 1973. To date, there are 153 enshrined members in the Hall. ... The U.S. Hockey Hall of Fame Museum, located in Eveleth, Minn., is open daily. For hours of operation and admission prices, visit USHockeyHallMuseum.com or call 800-443-7825.